Aspartame - A Sweet, Silent Killer? Aspartame, commercially known as Equal and Nutrasweet, has a flavor similar to sucrose, and also acts as a taste intensifier and enhancer. It is 200 times sweeter than sucrose but has a "flat" taste -- I am sure many people who have a sweet tooth knows what I am taking about, that means it basically has no aftertaste. A satchet of this artificial sweetener is equivalent in sweetness to two teaspoons of sugar (32 calories), for just four calories, an amount which is insignificant. Aspartame contains three extremely harmful ingredients - phenylalanine (50 percent), aspartic acid (40 percent) and methanol (ten percent). Phenylalanine is an amino acid which when ingested in excess causes serotonin levels to dip and results in emotional disorders such as depression. It is reported that long term exposure to aspartic acid can lead to Parkinson's disease, brain lesions, neuroendocrine disorders and hypoglycemia. Pregnant women and lactating mothers are advised against consuming products containing aspartame as the child's brain barrier is not developed enough to protect it from this chemical. Methanol is a dangerous neurotoxin that affects the nervous system. 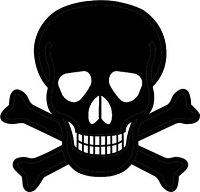 Symptoms of methanol poisoning include dizziness, nausea, gastrointestinal disturbances and memory lapses. In 1981, the FDA approved Aspartame and declared it to be safe for use in a variety of products, as a table-top sweetener and in carbonated beverages. In the recent years, you might have noticed that on the shelves there are more and more varieties of food claiming "sugar free", but containing artificial sugars. In 1993, approval was made as well for use in hard and soft candies, baked goods and mixes, nonalcoholic beverages and malt beverages. Today, aspartame is commonly found in in diet sodas, low-calorie and sugar-free teas, energy drinks, reduced-carbohydrate granola bars, protein bars and ice cream. However, there has been a lot of debate over the health concerns caused by this artificial sweetener which has been reported to be unsafe for humans. Serious reactions including seizures and deaths have been claimed to be related to this sugar substitute. The famous article "Dangers of Aspartame" written by Nancy Markle, an anti-aspartame advocate, is an interesting read for anyone keen to have a glimpse of what the controversy is about. 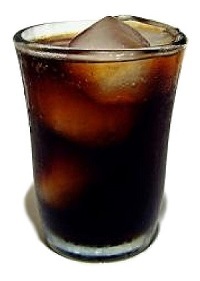 In the extract, she reported that heavy diet drinkers potentially could suffer from the ASPARTAME-DISEASE which could cause all kinds of neurological problems and symptoms such as spasms, shooting pains, numbness in your legs, cramps, dizziness, headaches, joint pain, depression, anxiety attacks, slurred speech, blurred vision, and memory loss. Whether there is any germ of truth in this article, we have to take time to discern for ourselves. In our constant battle of the bulge, we often turn to low-calorie foods and artificial sweeteners in hope of satisfying those sweet cravings without the added calories. With so much arguments about its health hazards and until researchers turn in more scentific conclusions, this artificial sweetener may not be the wisest diet product for those eagerly trying to lose weight and diabetics who are looking for table sugar substitutes to improve their health condition. Many studies have also supported the recommendation that pregnant women, nursing mothers, infants and children should avoid products containing the sweetener. Watch this shocking 10-Minute report on how aspartame eventually obtained its stamp of approval from the FDA despite all the signs of potential health dangers. Popular diet sweetener Splenda is made from sugar and tastes like sugar, but strangely, it is free of sugar. Read full account in Can You Drink Safely with Splenda? Is Stevia Sweetener Natural or Artificial? Herb-made Stevia has also become a controversial sweetener, with researchers pointing to its highly processed content that could pose severe health risks. Get it all in Natural Stevia Better Than Artificial Sweeteners? End of "Aspartame - A Sweet, Silent Killer?". Back to "Use honey, a natural sweetener for healthy immunity system"